igniting social change on the page and stage. Click here to request a performance by Writer's Block at your event. This program is designed to empower youth through creativity, develop young leaders, and ignite social change. 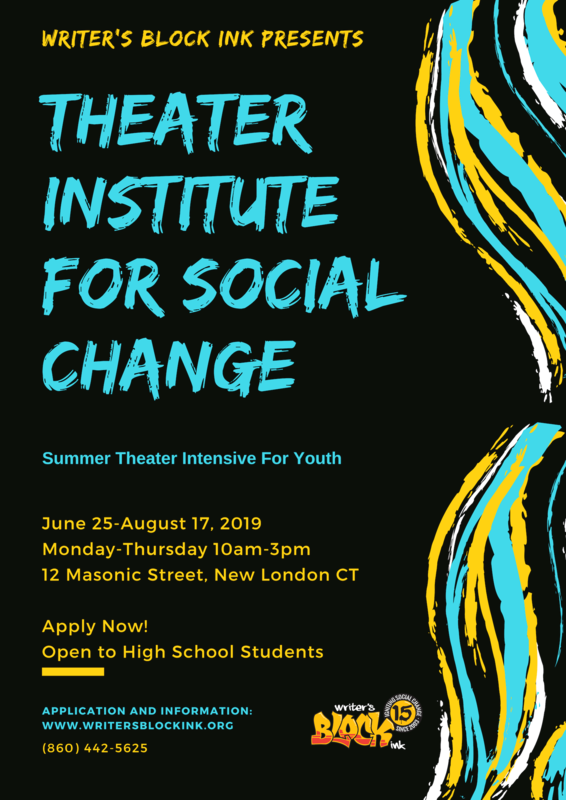 High School students are invited to audition for the opportunity to embark on an eight week long journey through a creative arts program to instigate and cultivate social change in the community. The goal of the program is to create and perform an original full scale production to be open to the community. Our students are encouraged to explore their skills and gifts while working on an original script, costume design, songs, poems, and even the marketing and promotion of the show. Anticipated show dates are Thurs Aug 16th, Fri Aug 20th, and Sat Aug 21st 2019. Auditions will take place the week of May 13th and include a reading of a monologue provided by Writers Block; a presentation of a prepared piece selected by the student (monologue, song, dance, poem, etc. ); and an interview.